A substance that can be chemically separated into fix ratios of two or more pure elements. The maximum number of electrons on an energy level equals 2(n)2. 2 electrons in the first, 8 in the second, and actually 18 in the third. Atomic radius decreases across a period (row) because more protons attracts more electrons and squeezes the radius smaller. The greater positive nuclear charge of protons attracts the greater number of negative valence electrons. Atomic radius increases down a group, and from right-to-left across a period. The lower-left elements have the largest atomic radius (size). Most people think the greater valence electron charge on the oxide (O2-) ion causes a stronger attraction with the positive nuclear charge resulting in a smaller radius - but this is not correct. Negative ions actually have a larger atomic radius than the neutral atom because the extra electrons cause greater electron-electron repulsions, increasing the size of the electron cloud. Because removing an electron decreases some of the electron-electron repulsions in a neutral element causing the cation to be smaller than its neutral atom. Ionization energy is defined as the energy required to remove an electron to an atom or ion. Ionization energy is defined as the energy required to remove an electron from an atom. - bottom-to-top, up a group. - left-to-right, across a period. Ionization energy generally increases from left-to-right across a period because it is harder (requires more energy) to remove an electron from elements that are close to having a full valence octet. The ionization energy of a group 2 element would be lower than that of a group 17 (7A) element, in a similar period. Electronegativity is the ability of an atom to attract electrons when bonded. Electronegativity increases left-to-right across a period, and bottom-to-top up a group. Molecular compounds form by combining two nonmetals. Ionic compounds are formed by combining a metal + a nonmetal. Ionic bonds form when electrons are transferred from the positive cation to the negative anion. Lewis Diagram: Potassium loses 1 electron as K+, bromine gains 1 electron as Br-. Lewis Diagram: Calcium loses 2 electrons as Ca2+, each chlorine atom gains 1 electron as Cl-. Lewis Diagram: Each sodium loses 1 electron as Na+, oxygen gains 2 electrons as O2-. Covalent, molecular compounds form between two non-metals. Sodium and calcium are metals. Carbonate is a charged, polyatomic ion. Neon is a noble gas and doesn't bond... leaving Oxygen. Draw the Lewis Structures of the following molecules using the rules below. 1 Arrange the atoms with the element that forms most bonds in the central position. 2 Add the total number of valence electrons to the central atom clockwise or counterclockwise. 3 Distribute the other atoms around the central atom and place one bonding pair of electrons between each atom. 4 Put remaining electrons as lone pairs on all atoms except the central atom, to a maximum octet of 8 electrons per atom. 5 If octet on central atom is incomplete, move peripheral lone pairs into bonding electrons that are shared with the central atom. 6 Make sure central and peripheral atoms have complete octets. Now if there are extra electrons, place these as lone pairs on the central atom (*exception to octet rule). Molecular compounds have a low melting point and are poor conductors of electricity when dissolved in water. Ionic compounds have a high melting and boiling point. The melting point of ionic and covalent compounds can be explained with intermolecular forces. Intramolecular forces - within molecules - determine things like if a compound is likely to break apart and dissolve in water. Intermolecular forces - between molecules - determine things like how much energy is required to melt or boil a substance because this requires energy to pull the different molecules away from adjacent molecules. London forces are caused by the induced attraction of the electrons from one molecule to the positive centre in an adjacent molecule. Dipole-dipole forces are caused by permanent dipoles of the molecules based on electronegativity differences. The van der Waals forces include: London and Dipole-dipole, but not Hydrogen bonding. Calculating the electronegativity difference between the atoms, you can see that N2 has the lowest (zero), so this molecule is non-polar covalent. Non-polar molecules do not have dipole-dipole forces, only London Dispersion. Electronegativity increases up and to-the-right on the periodic table. Electronegativity difference is estimated by the distance across the periodic table, or calculated by subtracting the electronegativity of just one of each atom across a bond. Rule notwithstanding, noble gases have extremely low electronegativity because of their full valence octet. Determine the polarity of the following molecules using the following guidelines. (* Indicates an exception to the guidelines). This molecule is ionic because it is made of a metal plus a non-metal, and it can dissolve into Mg2+ and 2I- in water as an electrolyte. Beryllium Carbide BeC2: Beryllium (Be) & Carbon (C)... ...is Polar Covalent. The ∆EN between 0.5 to 1.7 indicates the molecule is polar covalent. The fact that this molecule physically dissolves into H+ and Cl- ions in water and conducts electricity does not make it ionic. As you see, it is possible for polar covalent molecules to dissociate into ions in solution. Non-polar covalent < Polar covalent < Ionic. Balance the charges using the criss-cross method. Look up the charges for the polyatomic ions. Remember to reduce the subscripts by the greatest common factor (if any). Compounds use different naming systems and it is important to know when to use each one. The GENERAL system is used if the ionic compound is not multivalent. Just name the first word like it appears on the periodic table and the second word ends with -ide (for example: Na20 is sodium oxide). Name the following compounds using the prefix system. Determine the number of each element, and don't forget to add the suffix. (Remember to only use mono on the second word, never the first). Write the chemical formula for the following compounds. The prefix in-front of each element indicates the amount. Find what's wrong with the following names or formulas, and correct them. Where should prefixes be used? Covalent compounds using the prefix naming system never have mono in the first name. The correct name for NO: nitrogen monoxide (This is like carbon monoxide, which you may know is CO). The last name always has a prefix, even if it's just one. What subscripts should not be used? Don't write subscripts of 1. Name the following ionic compounds. Remember that ionic compounds consist of a metal plus a non-metal. Start with the charges on the ions, and then use the criss-cross method to balance the charges. Use the most common ion charge. Find what's wrong with the following names or formulas and correct them. The roman numeral indicates the charge (or oxidation number) of the multivalent cation. Don't use the stock roman numeral numbering system for monovalent elements - elements that only have one valence or possible charge. Scandium can only ever have a 33+ charge and is implied in its name. The subscript, 3 multiplies to the 3 oxygens so 1 molecule of aluminum nitrate has 9 oxygens. 2 × Al(NO3)3 2 molecules of aluminum nitrate have 18 oxygens. Name the following compounds containing polyatomic ions. (Note it's not calcium dinitrate because we don't use the prefix naming system on polyatomic ions). This is an ionic compound with polyatomic ions. Write the chemical formula for the following compounds with polyatomic ions. Diammonium is two (di) ammonium ions. Don't try to name polyatomic ions as molecular/covalent compounds. Use the name of the polyatomic ion. NH4Br is just ammonium bromide. This may be a bit tricky because SO3 is not polyatomic when it's by itself. You can tell because it is not bound to a metal cation in-front, like __SO3. SO3 is a covalent compound by itself - so you name it with the prefix system. Na2SO3 is an ionic compound with a monovalent metal (and a polyatomic anion), so it is named using the general naming system. = sodium sulphite (aka sodium sulfite). Multivalent metals (metals that could have different charges like Ni2+ or Ni3+) need to have the charge represented by roman numerals without a space between the cation and roman numeral. The oxygen anion oxygen begins with a prefix representing the number of atoms, and it ends with the suffix -ide indicating that it is an ion. Name the following compounds using the stock system. Copper is multivalent (Cu1+, Cu2+) so roman numerals are required. Write the chemical formula for the following compounds with multivalent ions. The stock naming system is used without using prefixes. The correct name: iron(III) iodide We know there must be 3 Iodide atoms for each Fe3+ because the charge on each iodide is only I1-. Name the following compounds using the systematic stock naming system. Tin (Sn) has a 2+ charge, bicarbonate (HCO3) has a 1- charge. Use the criss-cross method to determine the subscripts on each ion. Balance the charges of the ions. Look up the polyatomic ions. Multivalent ions show their charge in parentheses. Balance the charges of the ions. Look up the polyatomic ions. Multivalent ions show their charge in parentheses. Make sure to reduce the subscripts by the greatest common factor. Sodium is not multivalent so it does not use the stock roman numeral naming system. It can only be Na+1. The name is just sodium bromide. Modern, international IUPAC naming of compounds with polyatomic oxyanions, uses roman numerals with the oxyanion (as well as any multivalent cations). The only suffix used is 'ate'. Remember the roman numeral represents the oxidation number of the multivalent or non-oxide element. Name the following compounds, using full IUPAC notation. The subscript '2' on (PO43-)2 does not contribute to the oxidation number of the phosphorus. For hydrates, you have to combine the 'Stock' and the 'Prefix' naming systems. Epsom salts (magnesium sulphate heptahydrate, MgSO4·7H2O) are commonly used as bath salts. As an epsom salt is heated, to drive off the water, the mass continually decreases until the compound is anhydrous (lacking water). Under the right conditions, the salt, MgSO4 does not decompose. The moles of MgSO4 are constant. When the hydrate gives off water molecules, the amount of H2O changes while the MgSO4 stays constant because it cannot evaporate. Replace the suffix with the new suffix -ous, then add the word acid last. Add the Hydro prefix to the front, replace part of the end with the suffix ic, then add the word acid last. Replace the suffix with the new suffix -ic, then add the word acid last. Name the following acids using the mnemonic given to help you remember the charges and number of oxygens in the main polyatomic anions ending in -ate. (The vowel number is the charge, and the consonant number is the number of oxygens). You can easily recognize bases that have hydroxide (OH-) ions in them. Name the following bases. Remember the proper syntax of naming: lowercase and proper spacing --- for example, Ti(OH)4 = titanium(IV) hydroxide. Multivalent ions, like Fe2+, Fe3+ use the stock naming system. Multivalent ions, like Pb2+, Pb4+ use the stock naming system. Bases have different number of hydroxide (OH-) ions in the formula. The exception is ammonia, NH3, which is the base form of ammonium, NH4+. The reaction is nuclear fission. Fission is the splitting of a large nucleus into smaller nuclei. What is an energy level? An orbit or shell corresponding to the period number, on which electrons are located. What is the trend for increasing electronegativity on the periodic table? What is the trend for increasing electron affinity on the periodic table? What is the trend for increasing atomic radius on the periodic table? What is the trend for increasing ionization energy on the periodic table? How does the atomic radius of elemental fluorine (F) compare to its ion form (F-)? How does the atomic radius of a cation compare to its neutral elemental form? The atomic radius of the cation is always smaller than the neutral atom. How are ionization energy, electronegativity, and electron affinity related? What is the difference between an ionic compound and a molecular compound? Ionic compounds are a metal + a non-metal. Molecular compounds are two non-metals. What is the difference between an ionic compound and an alloy? An alloy is composed of two or more metals while an ionic compound is composed of a metal + a non-metal. Alloys do not form intramolecular bonds like in ionic bonds. What type of compounds are: SO2 or NF3? What type of compound is Sodium Fluoride? What does a lewis dot diagram indicate? The arrangement of bonding and non-bonding (lone pair) electrons in an atom or compound. When drawing lewis structures, what is the next step to do if the octet on a central atom is incomplete? Move peripheral lone pairs on adjacent atoms into bonding electrons that are shared with the central atom. What are some of the main physical properties of molecular compounds? What are the three (four) intermolecular forces you have seen so far? A molecule with a 0.6 electronegativity difference would be what type of polarity? Conventionally, a balanced equation contains whole number coefficients. Balance the following equations. Balance the metal, or carbon, or first non-metal first. Then balance the hydrogens (if any). Last, balance the diatomic molecule like O2. Generally: balance metals first (if any), balance polyatomic ions as whole units, and balance diatomic molecules last. Write balanced chemical equations for each of the following word equations and make sure to include the physical states. Bromine is higher on the activity series than iodine, therefore it can displace the iodine. Complete the following single displacement reactions. Write the compounds first, then balance. Make sure to include physical states: (s), (l), (g), (aq). The reaction between sodium carbonate and copper (II) sulfate/sulphate proceeds as follows. Determine the identity of compound 'Z' below. Complete the following double displacement reaction. Remember to use what you know about the solubility guidelines. Use the reactivity series table for the questions below. Calcium ranks higher on the reactivity (activity) series and is more reactive than Chromium. Calcium will displace Chromium in a single displacement reaction. Calcium is higher on the reactivity series so it will displace the less reactive Iron. The reaction proceeds: Ca(s) + FeBr3 (aq) → Fe(s) + CaBr2 (aq). Using your understanding of the reactivity (activity) series, explain the following concepts below. Silver and Gold are two of the most unreactive metals and they are at the bottom of the activity series. Zinc is more reactive than iron and reacts first with the oxygen in air to produce a protective zinc oxide coating around the iron. This coating prevents iron from being exposed in air to rust. The process of coating iron with zinc is common and is called galvanization. For each of the scenarios below, predict the products of the chemical reactions, balance, and classify the type of reaction. Iron is more reactive than Hydrogen and will displace it from the nitric acid. Fe(s) + 2HNO3 (aq) → H2 (g) + Fe(NO3)2 (aq) Single displacement. Potassium is more reactive than Hydrogen and will displace it from the water. 2K(s) + 2H2O(l) → H2 (g) + 2KOH(aq) Single displacement. Combustion reactions in excess oxygen always form water and carbon dioxide. Remember that 'excess oxygen' means lots of oxygen on the reactant side of your equation... C2H6O(l) + 3O2 (g) → 3H2O(g) + 2CO2 (g) Combustion reaction. The subscript on parentheses ()2 applies to all elements within the parentheses. The atomic mass of an element depends on the amount of protons and neutrons and also depends on the relative abundance of the different isotopes of the element, found in nature. If the relative abundance (%) of an heavy isotope is high or low, this will affect the magnitude of the atomic mass. Let 'x' be the percent abundance of 23X. Let (100 - x) be the percent abundance of 21X. Avogadro's number stands for 6.02 × 1023 . Carbon dioxide (CO2) has a molar mass of 44g/mol. 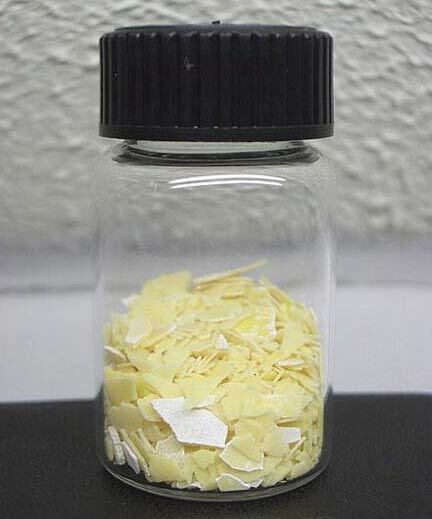 Magnesium difluoride (MgF2) has a molar mass of 62.3 g/mol. Use the stoichiometric ratio to convert moles of Ni(HCO3)2 to moles of 'C'. 1 molecule contains 2 carbon atoms. A 10.5 mol sample of H2CO3 has the same percent composition of hydrogen as a 3.0 mol sample. Show your work. Because when the molecular formulas are both reduced, they will have the same ratio of C to H, which is the same empirical formula. An empirical formula is the most simplified (reduced) ratio or proportion of the atoms in a molecule. Analysis of an organic molecule shows that it contains 61.02% carbon, 11.86% hydrogen and 27.12% oxygen. Therefore the empirical formula is MgO. Can make 50/2 = 25 sandwiches with the starting amount. Can make 24/1 = 24 sandwiches with the starting amount. Can make 84/3 = 28 sandwiches with the starting amount. Using this algorithm, the limiting reagent is the lowest value. Therefore the lettuce is the limiting ingredient. The lowest numer is limiting. 100g of octane fuel, C8H18, burns in excess oxygen to create energy, water, and carbon dioxide. Molar mass of octane is 114.26g/mol. Molar mass of water is 18.01g/mol. The limiting is the lowest value from the ratio of the mols available, to the mols required by the coefficient in the equation: Therefore 'B' is limiting..
53.06 g of solid iron is dipped into a beaker containing 113.36 g nitric acid, bubbles are observed from the single displacement reaction. The limiting reactant is the lowest value of the ratio of moles to the coefficient from the equation. The ratio for Nitric Acid is lower, therefore Nitric Acid is the limiting reactant. Always calculate the amount of a product with the limiting reactant, which in this case is nitric acid. A 16.19 g sample of solid aluminum reacts with 254.76 g of silver nitrate. Thermonitrite, a soluble hydrate of sodium carbonate, reacts with hydrochloric acid to produce a salt, carbon dioxide gas, and water. Write the chemical formula and balance. To balance, see that for 'X' amount of hydrated water, there are (2 + X) waters produced. This is a tricky part of the question. Determine the amount of mol of CO2 (g) Use the stoichometry ratio to find: amount of moles of thermonitrite. Use algebra to solve for 'x', with the equation below: Therefore the chemical formula is Na2CO3·1H2O, since X = 1. Finally divide the amount of moles by the lowest value, 0.409379 and this gives the amount of each component in the hydrate. Therefore the compound is BaCl2 · 2H2O. An alternate way of solving this is to use molar masses, and to let 'x' be the molar mass of water: There are 2 mols of H2O. Therefore the compound is BaCl2 · 2H2O. The actual yield is determined experimentally in the lab, and the theoretical yield is calculated. The actual yield is typically lower than the theoretical yield. Use mass and not moles. There is some solvent left over in the product, or if foreign objects got into the product. Impure reactants can leave traces of remnants or byproducts in the product. Reactions usually reach equilibrium and 'stop' before everything is reacted. Transferring the reactants between different containers can leave some behind. Sometimes it takes considerable time for a reaction to proceed, and the reaction in a lab is often cut short on time. What are the units of molecular weight? What step of an equation must be complete before doing stoichiometry calculations? What type of reaction is this? Heating solid iron in the presence of oxygen. What does a higher ranking mean on the reactivity series table? What is an average atomic mass? If the percent abundance of an imaginary element is 50% 1.5g/mol and 50% 2.0g/mol, then what is the average atomic mass? What is the magnitude of Avogadro's number and what does this number represent? this number represents the quantity of particles (atoms, molecules, etc) found in 1.0 mol of a substance. (this number is so large that one mole of loonies would reach the Moon). How is the mass calculate from the amount of moles and the molecular weight? How would you calculate the amount of moles given the number of particles of a substance? Distinguish between an empirical and molecular formula. An empirical formula is the lowest ratio of the elements in a compound while the molecular formula shows the ratio in its true, unreduced form. Can the molecular formula be the same as the empirical formula? Yes, if the molecular formula is the same as the empirical formula. What two values are required to calculate the molecular formula of a compound? Empirical formula and the molecular weight of the compound. How is the Limiting Reactant calculated? Divide the amount of moles present by the stoichiometric coefficient. The lowest magnitude is limiting. What is the Limiting Reactant and the excess reactant (reagent)? The Limiting Reactant is the molecule that gets consumed first. Excess reactant (reagent) are left over after the reaction is complete when the limiting is used fully. What is the difference between actual yield and theoretical yield? An actual yield is determined experimentally (in a lab) while the theoretical yield is calculated with a balanced equation and stoichiometry. How is percent yield calculated? Solutions are homogeneous mixtures composed of a solute dissolved in a solvent. Homogeneous mixtures are uniform - consistent throughout. Note that both solutes and solvents can consist of any combination of gas, liquid, or solid phases. An alloy is a homogeneous mixture of elements, therefore it is a (solid) solution. Soluble ionic compounds form electrolytes that can propagate charge movement, conducting electricity. Only ionic compounds that dissolve in water form electrolyte solutions. Hydrogen 'bond' is a bit of a misnomer, as it isn't actually a bond by definition, it is more of an electrostatic 'attraction'. The lone pair on a nitrogen atom acts as a hydrogen bond acceptor to the O-H bond in H2O. The N-H bond in NH3 and the O-H bond in H2O can clearly form strong hydrogen bonds. Surprisingly, the partial negative lone pair on fluorine in C-F: can hydrogen bond to the partial positive hydrogen in the H-N bond in NH3. CN: and CF4 can only form hydrogen bonds with other molecules containing either O-H, N-H, or F-H bonds. Polar compounds dissolve in water because of the dipole-dipole interactions. Compounds that can hydrogen bond are even more soluble. A molecule with neither hydrogen bonds nor dipole-dipole will be forced out of water because water prefers to bond/interact with other water molecules in the presence of nonpolar solutes. A diatomic molecule consisting of the same two atoms will dissolve in the universal solvent, water. A diatomic molecule consisting of the same two atoms is nonpolar and would dissolve in a nonpolar solvent. Convert L --> mL, by multiplying by 1.000. Parts Per Million (PPM) is a form of Percentage Weight by Weight Concentration % W/W. Note that PPM is only used for dilute solutions in which 1g ≈ 1mL. In this case the number of solute organisms is used instead of the mass. One Na2O molecule dissolves into 2 Na+ molecules and 1 O2-. For every 1.0 mol/L of Na2O molecules, there are 2.0 mol/L of Na+ ions and 1.0 mol/L of O2- ions. MgCl2 dissociates into 2 chloride (Cl-) ions: 1.0 mol of MgCl2 dissolved in 1.0L of water = 1 mol/L MgCl2. Although 1 mol NaCl dissociates into 2 mols of ions: Na+ + Cl-, the molar concentration uses the mols of the solute, or compound instead of the total ion equivalent. NaCl and AlCl3 dissociate (break apart) into cations and anions in solution. NaCl has 1 [Cl-] per molecule. AlCl3 has 3 [Cl-] per molecule. Dilutions involve the addition of pure water to a solution. Dilutions with pure water do not change the solvent amount (moles). Moles are constant. However, the concentration does change. Many gases dissolve in water, for instance the carbon dioxide in soda. Also swimming pools contain a small amount of chlorine gas. NH3 is a gas at room temperature. The solubility of gases decreases with increasing temperature; therefore the slope is negative. AgNO3 is a solid, ionic compound that is soluble is water. The solubility of ionic compounds increases with increasing temperature; therefore the slope is positive. Solid compounds are not considered miscible. Polar liquids cannot dissociate, but they can dissolve. Solid ionic compounds dissociate, or break apart in solution. Determine the solubility of each ionic compound in water, as soluble, or insoluble. Lead, Pb, is a very insoluble substance, however when combined with Nitrate, NO3, which is the most soluble anion, the compound can dissociate/dissolve in water. Ba2+ and O22 are both insoluble oxides, except when combined, the compound is soluble! Sulfides, S2- are insoluble, except when combined with the group 2 cations, alkaline earth metals. NaSO4 would precipitate the Ca2+ because calcium is more reactive and will displace the sodium ions. The sulfate/sulphate becomes insoluble when bound to calcium - this precipitates the calcium out of solution, lowering its concentration. None of the other compounds would precipitate calcium. FIRST: Separate the ions of all soluble compounds, leaving the solid, liquid, and gaseous compounds. SECOND: Cancel ions on the left and right side, leaving the net ionic equation. If 0.50 L of 1.500 mol/L Na2O is mixed with excess AgClO3, what mass of precipitate will form? Ammonia does not contain hydroxide (OH-) ions. For example in pure water, Ammonia, NH3 is a Brønsted-Lowry base because it is a proton acceptor, but is not a hydroxide donor according to Arrhenius' definition. (Arrhenius defined bases as hydroxide donors). As you can see the base, ammonia is a proton acceptor (Brønsted-Lowry base) but does not fall under the Arrhenius category of a base (hydroxide donor). A Brønsted base is a proton acceptor. Fluoride ions are more electronegative and have a smaller ionic radius. Furthermore, the conjugate acid HF is the weakest acid. Remember that the conjugate base of a weak acid is a strong base. An acid + base results in a neutralization reaction... This would be mixture C.
Which of the following statements about acids and bases is false? What are the units used for pH? Calculate the pH of a solution with [H+(aq)] = 2.8 × 10-3 mol/L. Note: you must divide the moles by the 5.0L volume to obtain the concentration in mol/L. The acidic solution has a pH less than 7 and a [H+] > 1.0 × 10-7 mol/L. H2SO4 contains 2 protons per molecule. So, 2 H3O+ molecules will be made from one molecule of H2SO4. Which of the following is a conjugate acid-base pair? 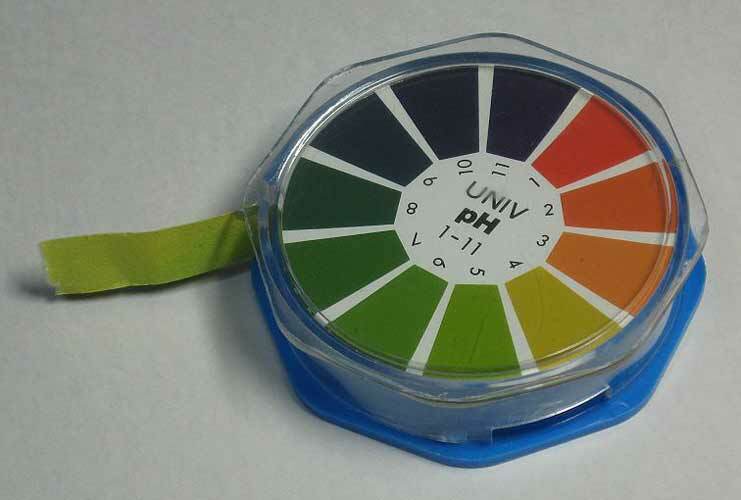 Universal indicators are used to test a wide range of pH. As the pH of solution changes, the indicator will change color at the endpoint when the specific pH for that indicator is reached. (Note that many metallic ions make different color solutions and this is not an endpoint). The equivalence point is the point at which the amount of moles of the acid equals the moles of the base to completely neutralize the other. Some titrations with polyprotic acids or polyhydroxic bases. At the equivalence point, the moles of acid is equal to the moles of base. The equivalence point of the titration is > 7 as you can see on the graph. An acidic equivalence point indicates a stronger acid, a basic equivalence point indicates a stronger base, and a neutral equivalence point indicates equal strength of acid and base. There is a constant relationship between pH and pOH. True. These equations are used often, see below. 80mL of a 2.5M solution of sulfuric acid is added to 110mL of a 1.1mol/L solution of sodium hydroxide. There are total 0.4 mol of protons (H+), and 0.121 mol of hydroxides (OH-) in solution, before neutralization. The NaOH is limiting because the lower amount of total moles. What is the difference between a homogeneous and heterogeneous mixture? Homogeneous mixtures are uniform/consistent throughout and the components are indistinguishable. The components of heterogeneous mixtures can be distinguished visually. An alloy is a uniform mixture of two or more metals. It is possible to have solid solutions, liquid solutions, and gas solutions. An electrolyte is a solution composed of dissolved (aqueous) ions that allow the solution to conduct electricity. Explain how the saturation point of a solution can be changed. Explain why sugar water is or is not an electrolyte solution. Sugar is not an electrolyte solution because it is not ions dissolved in a solvent — electrolytes are made only of aqueous ions. Sugar is a covalent/molecular compound and does not dissolve as ions in solution. What are the aqueous ions formed when sulfuric acid (H2SO4) dissolves? What is the difference between dissolving and dissociation? Dissociation is any chemical splitting of a molecule into its smaller parts, while dissolving is the chemical splitting of a molecule due to the presence of a liquid such as water. Hydrogen bonding can occur whenever there are hydrogen bonds in a molecule. Hydrogen bonding can occur when the hydrogen is bonded to any one of three highly electronegative atoms: nitrogen, oxygen, or fluorine. The recipient of the hydrogen bond must have a partial negative dipole (like the oxygen in OH), or a negative charge like a lone pair of electrons. What is parts per million (PPM)? The amount of solute per in a certain volume of solution. What is the concentration of chloride ions in a 3M solution of MgCl2? How is volume calculated, given concentration and moles? How does temperature affect the solubility of a gas in water? The relationship is inverse. For example, the solubility of gases decreases with increasing temperature. What is a spectator ion? Spectator ions are ions that are present on both sides of the ion equation and do not contribute to make the solid product. Intermolecular forces: dipole-dipole, hydrogen bonding, van der waals... determine physical state. E.g.) Heavier compounds C20H42 are more likely solids compared to lighter compounds with the same atoms C2H6. E.g.) Substances that contain ionic bonds NaCl are more likely solids than different substances with only covalent bonds NH3. Temperature is proportional to kinetic energy. The physical state also depends on the kinetic energy of the molecules. Molecules with higher kinetic energies tend to have higher volumes, vapor pressure, and other things. Other factors are temperature, and identity of the substance. Unlike solids or liquids, gas molecules can be squeezed closer together because they are spaced relatively far apart to begin with. The Kinetic Molecular Theory says the space occupied by the gas molecules is negligible compared to the total volume. The instantaneous expansion of airbags is due to a highly reactive mass of solid turning into a gas very quickly. The gas occupies a much larger volume than the solid state and inflates the airbag (quickly). Determine the types of intermolecular forces that exist in the following gases. Argon is an inert Noble Gas with no polarity so it has London dispersion forces only. Diatomic oxygen, O2 has no polarity so it has London dispersion forces only. Ammonia has both London dispersion and dipole-dipole forces, this makes it the combined van der Waals, which includes both London dispersion and dipole-dipole forces. This physical state has the highest internal kinetic energy for a given substance. Not to be confused with the newer standard atmospheric temperature and pressure (SATP), which is 100kPa and 25˚C. A noble gas is stored in a laboratory tank at 5 atm. Due to the law of proportionality, it does not matter which of these two orders the law is written in. The units of pressure and volume do not matter (as long as they are consistent). The only unit that must be used is Kelvin for Temperature. PV = k Boyle's Law compares Volume and Pressure. The product of volume and pressure is constant because their relationship is inversely proportional (as one increases, the other decreases). Make sure to convert units to be consistent. Temperature must be in K.
These relationships can also be explained with the combined gas law. (n-V has a linear relationship where V is a horizontal line, i.e. the V is due to the space between the gases since the gas particles have no volume). Avogadro's Law: P (↑V) = (↑n) R T Moles (n) and Volume (V) are directly proportional, as one increases, the other increases. 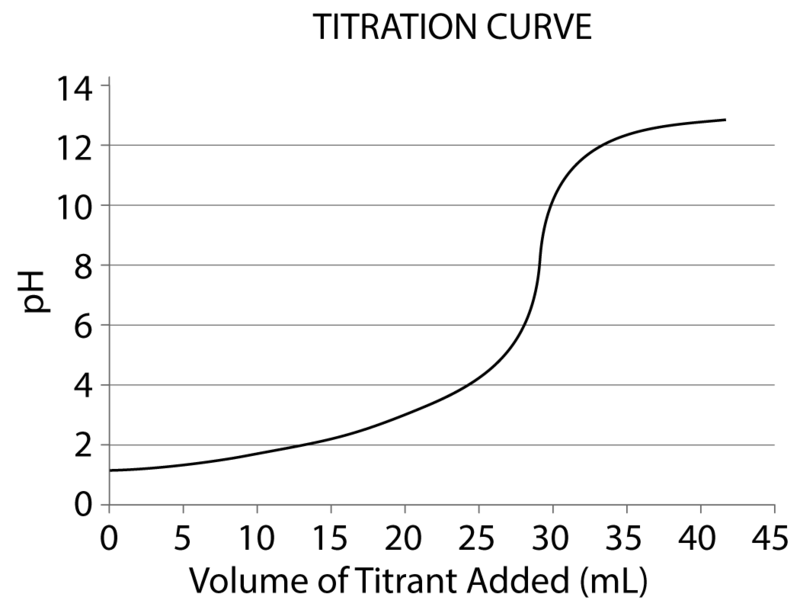 A graph with n on the x-axis and V on the y-axis would have a linear, positive slope. P V = k ↑P ↓V = ~k Boyle's Law states that at constant temperature and amount of gas, the product of volume and pressure is constant because their relationship is inversely proportional (as one increases, the other decreases). 'k' is constant. A V—PV graph would appear as a horizontal line (with a slope of zero). As V increases, P decreases by the inverse factor so PV is flat. For the volume to be based on the intermolecular interactions, the molecules themselves are assumed to occupy zero volume. While it is true that ideal gas particles (atoms, molecules) are considered to have zero volume, it is the space between the gas particles that does occupy a volume and that's what counts. If units are not given in kPa, L, and K then they must be converted to these units before used in the equation. 10.0 L of carbon dioxide (CO2) gas is compressed into a canister at -20˚C and 4.71 atm. MW CO2 = 44 g/mol. Glucose is produced in photosynthesis by the reaction below. For a given temperature and volume, partial pressure only depends on the amount of moles. First, convert all units to the same unit. A 34.5g sample of an unknown gas is collected at room temperature (20˚C) and atmospheric pressure (101.325 kPa). The initial reading on a near-vacuum collection cylinder is 10mL and the final amount once filled is 18,040 mL. Determine the identity of the gas. Molecular weights are given to make it simpler for the student. The volume occupied by a gas does not consist of the volume of the atoms or molecules—this volume comes from the molecules colliding and spreading apart from one another. Since the gas volume comes from space between colliding gas particles, theoretically it cannot have any volume if the particles are not moving at 0K (although this cannot actually happen). The state of an ideal gas is always gaseous when calculating, for instance the boiling point of ammonia (NH3) is -33.34 °C, but even at -50 °C, it would still be considered gaseous. Determine the outcome when each of the following changes are made to the following equation. Therefore volume will decrease by a factor of ¼. Therefore temperature will increase by a factor of . The reaction will proceed with whole number ratios of hydrogen and oxygen gas (at the same temperature and pressure). 2 amounts of hydrogen gas for every 1 amount of oxygen gas. While 22.4 L per 1 mole is correct, molar volume is an approximation that only works for ideal gases rather than all gases. The molar volume (Vm) of an ideal gas at STP is 22.4 L/mol. molar mass of CO2 = 44 g/mol. This is the largest volume, which will yield the most moles (at 22.4L/mol). This will become the most molecules (when multiplied by Avogadro's constant 6.02 × 1023 molecules/mol). You want to get mol to cancel, so you're left with g/L. No need to convert volume to moles if an ideal gas. The lower number is the limiting reagent, therefore oxygen (O2) is limiting. 1.0L of hydrochloric acid is produced in the following reaction at STP. Fastest to use law of combining volumes, rather than convert to moles and back to volume. 0.5 L of hydrogen gas. "Behaves as an ideal gas" means 22.4L/mol 0.04 mol of HCl. What is the most compressible phase? Is this SATP or STP? How many Pa are in a kPa? How does temperature affect kinetic energy of gas molecules? What is an ideal gas? An assumption that gas particles do not have volume, except for the space between particles. There are no intermolecular forces between the gas molecules. Also that the gas is at a high temperature and low pressure. What does Dalton's law of partial pressure mean for the volume of different gases in air? The volume does not depend on the type of molecule, only on the percentage amount of the total volume. A gas is cooled from 300˚C to 100˚C, what is the change in temperature in Kelvin? What is the relationship of temperature versus volume in an ideal gas? What is the volume of 1 mol at STP? Hydrocarbons are non-polar and only have weak, temporary intermolecular forces, so the only type of intermolecular bonding is London dispersion. It is not Van der Waals because this actually includes London as well as dipole-dipole. Finally, hydrocarbons cannot hydrogen bond because the hydrogen (H) is not attached to a N, O, or F.
Hydrocarbons only contain carbon (C) and hydrogen (H). You will learn about molecules containing C, H, and O next year. (Alcohols, Aldehydes, Ketones, Ethers, and Carboxylic Acids). Combustion reactions combine hydrocarbons + oxygen to form carbon dioxide + water. Hydrocarbons are liquids when their boiling point is lower than the surrounding temperature. CH4, C3H6, and C4H10 have lower boiling points so will be gases at SATP (25˚C and 100kPa). C4H10 has a lower boiling point than C14H30 because it is lighter, or in other words, because C4H10 has a lower molecular weight than C14H30. The boiling points of five hydrocarbons are given in the table. The boiling point will be approximately between 36.1 ˚C and 174.1 ˚C. The 200 ˚C temperature would cause the lighter C4-10 hydrocarbons to evaporate into a gas, leaving most of the C14H30 behind as a liquid that can easily be collected. This is basic fractional distillation. First, bring the mixture to a temperature lower than C8H18, around 100˚C. This will cause the lighter C4 and C5 to evaporate away into a gas, leaving a liquid mixture of C8, C10, and C14 behind. Then bring the mixture to a temperature above the boiling point of C8H18, around 150˚C. This would evaporate only the C8H18 into a gas, which could be collected, leaving behind the C10 and C14. Complete combustion creates carbon dioxide (CO2), while incomplete combustion creates carbon monoxide (CO). Heat describes the moving of energy from one thing to another. Temperature is a measurement of the thermal energy of something. Specific heat capacity is different for all substances. Substances with higher specific heat capacities can hold more heat for a given amount of mass. Heat is the movement, or transfer of energy between things with different temperatures. If the temperature is the same (10˚C), then there is no energy transfer. Therefore there is no heat exchange. When a substance heats up, sometimes it changes from a solid to a liquid, or from a liquid to a gas. These processes use the heat of fusion, and vaporization, respectively. The energy during a phase change is called latent heat, q = mL. Heat is released when the water condenses from higher energy gas to a lower energy liquid. This heat must go somewhere into the surroundings, which makes this condensation reaction exothermic. What is the polarity of hydrocarbons? How does the boiling point of a hydrocarbon compare to molecular weight? As molecular weight increases, boiling point increases. What is the difference between the products of complete and incomplete combustion? Complete combustion produces carbon dioxide, while incomplete combustion produces a mixture of carbon monoxide and carbon dioxide. What is the difference between heat and temperature? Heat describes the moving of energy from one thing to another. Temperature is a measurement of the thermal energy of something. What does the symbol, q represent? What are the S.I. units of heat? Latent heat is the heat energy (q) required to alter the molecule proximity when changing the phase of a substance. Can a liquid evaporate when it is below its boiling point? What is the difference between evaporation and boiling? Evaporation can occur below the boiling point of a liquid, while boiling occurs at or above the boiling point. In an endothermic process the system absorbs energy from the surroundings. Therefore the temperature of the system increases and the temperature of the surroundings decrease.